I hired this company after a brick fell off my house and onto my front step. There were several other loose bricks and I was concerned that more would fall becoming a safety issue. David arranged a site visit and then quoted me a true price. I had several other quotes which ranged from 900 - 4000. I was so confused and called Barbara assured me that this company didnt contract out, stand behind their work and ensure the job is complete before full payment is due. I was nervous as we had a very bad experience with a masonary company who charged too much and did a sloppy job. Barbara and David were supportive , calming and really listened to my concerns and idea. Jessie came to show me the brick prior to starting and Chris did the job diligently and was so professional especially in freezing cold and windy weather . He was unbelievable. Rob came the next day to pick up the left over brick and fix a few small area that Chris was unable to complete due to the bad weather and lack of light. You will be so happy to hire Three Little Pigs . Thet were superb !! Thank you Sheila for his amazing review. Our entire staff thanks you for your business. It was pleasure working for you. Quote was very reasonable. Work started almost right away. Very personable staff, and everything was explained thoroughly. Some very challenging spring weather conditions, but they kept going. Brick was matched nicely to the old, and the 2 chimneys are dead straight. Flashings were repaired and caulked properly, and they even secured a couple of shingles while they were up there!! Roof was cleaned completely. No visible sign they had been up there do brick and mortar work! Ground area was cleaned up nicely. These guys are good!! I will recommend to others in my neighbourhood. Thanks! Thank you very much for posting this review. We truly appreciate your business. The concrete stairs at the front entry of our home were in severe need of repair - pealing paint, rust stains, crumbling concrete, and the stair treads were narrow and unsafe. I contacted Three Little Pigs and David was quick to respond. He came out to our home and provided three options at different price points. 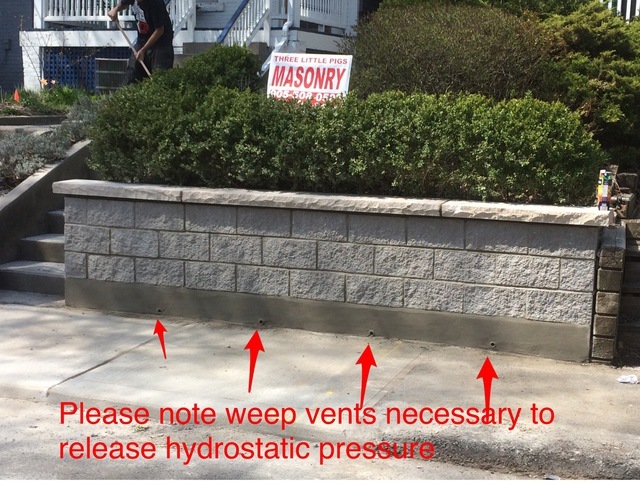 After having spoken with several other masonry companies, I appreciated that he took the time for an in-person visit even though we'd not yet committed to contracting the work to him. Once we made the decision to proceed, work started immediately. The front office staff (Barbara) and project manager (Jesse) were responsive, professional and pleasant to work with. Chris and his team did an excellent job refinishing our stairs in flagstone. They always arrived to work when promised - weather permitting - and completed the work quickly, taking care to protect our front doors from damage and doing an excellent job of cleaning up construction materials and debris upon project completion. I would highly recommend the team at Three Little Pigs... In fact, I did and a number of neighbours are now happily working with them as well. A very reliable and trustworthy team that produces extremely high-quality results. Thank you Jessica. We truly appreciate this response. As an attentive and caring crew, they made aesthetically pleasing, great concrete walkway and steps which are perfectly suited for an elderly member of the family, who had difficulty walking up broken, uneven paving stone-steps that sunk so low below the sill of the porch. Thanks to the crew's excellent, meticulous craftsmanship, and pleasant, professional workmanship, we are enjoying very much our fantastic concrete walkway and steps. They definitely go the extra mile to make us happy customers! We had been considering an update to our front steps for the last couple of years. We had a flagstone finish on the landings and the steps that had been in disrepair. The bricks around this area had also been damaged over the years. Three Little Pigs were one of several quotations that we obtained. They were the most professional of all of the companies that we contacted and provided a detailed review of the work to be done. The end result is a set of concrete steps that should last many, many years. 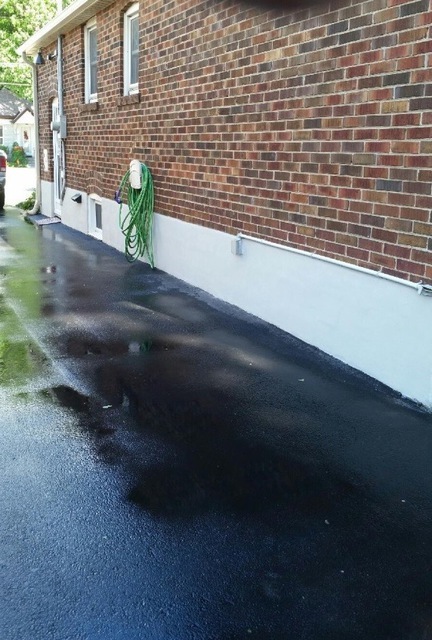 The crew that completed the work was very professional and the final clean up of the property very detailed. We are completely satisfied and would recommend Three Little Pigs. Thank you very much for writing this review. I had a few cracks along the front and sides of my house after it settled over the years. I hired a local handyman who did not do a great job. He also didn't colour the mortar to match the rest of the house's mortar (it was a light beige and the handyman's was a dark gray), so I was left with a very bad patch job that drew attention and it all eventually cracked again. I decided this year to use a pro. I contacted this company after seeing their great reviews. I can honestly say that not only did they re-do and fix the previous work, they really took the time to do it right. The colour of the mortar turned out exactly like the rest of the current brick mortar used on my house. The cracks were all gone and now my house looks brand new again from the outside! The crew that came over were also very knowledgeable, accommodating and respectful of my property. The took pride and care in getting the job done right. I highly recommend this company for any masonry work. They are wonderful to deal with. I was kept up to date by Barbara, who gave me easy payment options and was wonderful to deal with. David, the owner, showed up when he said he would and was lovely to speak with. Shout out to the crew Chris, Daniel, Chris and Jessie. They are a hardworking and amazing team! Thank you everyone! If I ever am in need of any masonry work again, I will definitely use them in future. Thank you Belinda for such a wonderful review. We truly appreciate the time you took to write this and we appreciate you as a customer. After a long and cold winter I decided to start making a list of things to do around the house. I noticed that the parging of one of my walls was flaking off. I had the foundation of my house parged back in 2012 by Three Little Pigs Masonry. I went with them because they offered an industry best 10-years warranty. It is now 2019, so I was skeptical about them honouring the warranty. I decided to give Dave a call and to my surprise he said that he would honour the warranty. He sent over a very nice man named Danny just two days after our conversatioin and in a couple of hours the base of the foundation looked like new again. I can’t begin to express my gratitude to Three Little Pigs as they truly do stand behind their work. I wouldn’t hesitate to recommend them to anybody. Thank you very much for this review. It is a pleasure working for you. My porch stairs were fixed in the summer, through the winter cause of shifting foundation they cracked in many places, The Three Little Pigs Masonry repaired it like new. Now it looks great. Much thanks for posting this review. It was a pleasure working for you. Three Little Pigs Masonry were very efficient, responsive and professional from the initial sales call to project completion. 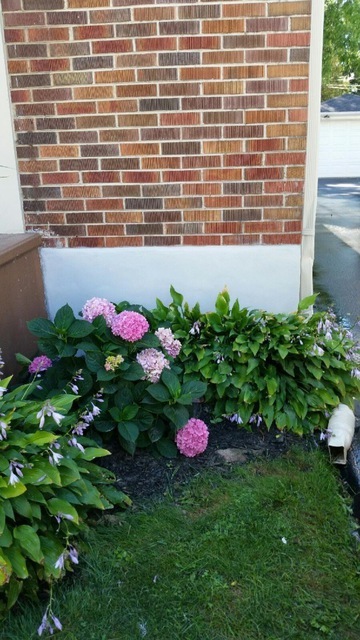 My parging done originally by the builder had been flaking off after each winter and was never applied properly and this year the curb appeal to my home was being affected. That is when I called Dave and within a week the job was done perfectly. Job was done efficiently and the materials used are the best in the market. Overall the entire experience was top notch and stress free. Thank you Anthony. We are delighted that you are happy with our work. Three Little Pigs Masonry provides expert masonry and concrete repairs, restoration and installation for the home and business owner. Our warranties and workmanship blow the others away! Our estimating department works as a team to find long term solutions and help homeowners with many permanent solutions to their problems where other competitors have failed to succeed. The team at Three Little Pigs Masonry works together to provide the customer with a positive contractor experience from the first call to the last team member to leave your completed project. Most importantly, you are dealing with actual MASONS from the management, the estimators and the crews on your property. No sales person will call and no high pressure sales pitch. Our warranties reflect the confidence Three Little Pigs Masonry provides. Compare our warranties to those of our competitors. We are a family owned and operated business that prides itself on the highest quality work and providing exceptional customer service. 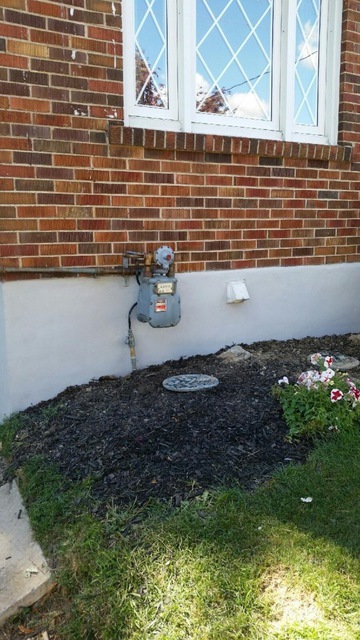 Here is a small list of our services: foundations, footings, pilings, parging, tuck pointing, concrete repair and restoration, concrete step repair, window sills, chimney repair and restoration, basement walkouts, flagstone, columns, pillars, patios, privacy walls, flagstone walkways, retaining walls, stone refacing, stone options to cover wood, stucco etc., waterproofing, underpinning, foundation repair, restoration- repair to stone, brick or block. Steel rebar, , Natural stone, Flagstone, Sandstone, , Indiana limestone, Limestone sills up to 8 feet, Brick, Block, Aggregrates, and Cement products plus many other accessories for masonry. natural stone concrete Parge. Arriscraft stone. Waterproofing by BAKOR (or compatible). Blue Skin membrane ( or compatible). Commercial grade caulking by SIKA FLEX ( or compatible). Horizontal and vertical reinforcing by BLOK LOK and FERO Corp.
Consumer Choice Award for Masonry in Toronto 2017 AWARDS from CMCA ( Canadian Masonry Contractors Association ): 1992 - Award for Best Workmanship - Yoahan Shopping Centre - ( Richmond, B.C., Canada). 1993 - Award for Best Innovative New Product created for Concord Adex (Team of David Fritz, Dr. Mike Hatzinakolous and Ocean Cement Products)- Vancouver, B.C., Canada. Etransfers, cash and credit cards.